The holiday weekend approaches! As I myself am going on holiday (Yellowstone, first time! Apparently it is going to, um, snow) I’m going to do a shorter less dense post with a few recommendations of, hey it’s not rocket science, food and film. 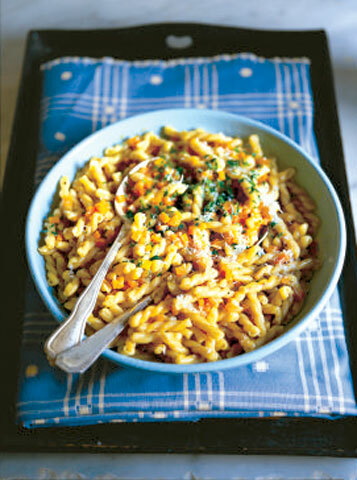 Savory: I stumbled on this recipe for Pasta with Carrots, Risotto-Style a couple of days ago. I had all the ingredients on hand and it sounded so intriguing, I gave it a try. Wow. This is a keeper, to be made over and over again. I’ve cooked pasta this way before, like risotto. It’s a great way to make pasta, if you don’t mind the extra stirring, as it creates a wonderfully creamy texture, much more so than when you make pasta the traditional way. With such a simple list of ingredients, however, I wasn’t expecting such a rich, satisfyingly flavorful dish. This is seriously good. It’s very savory, yet the carrots add a touch of sweet that is killer. I used penne, given penne is what I had on hand. It worked perfectly. I also added some white wine along with the first two cups of broth. I had a bottle open on the counter, of course, and given white wine is almost always added to risotto, I figured it couldn’t be too bad of an idea here. It wasn’t. I highly recommend doing the same. Give the recipe a try, it immediately leapt onto my ‘staple’ list. Foose makes hers with meringue. I’m not a meringue fan: any time I have meringue, such as on a lemon or chocolate or coconut meringue pie, I think, ‘This would be so much better with whipped cream instead of meringue.’ So when I make this banana pudding, I top it with homemade whipped cream. If you like meringue, follow her recipe exactly. Otherwise, make the puddings, chill, then top with homemade whipped cream. It’s easy, just whip heavy cream with a little bit of sugar (not too much!) and a touch of vanilla. If you have a food processor, btw, there is no better way to make whipped cream. 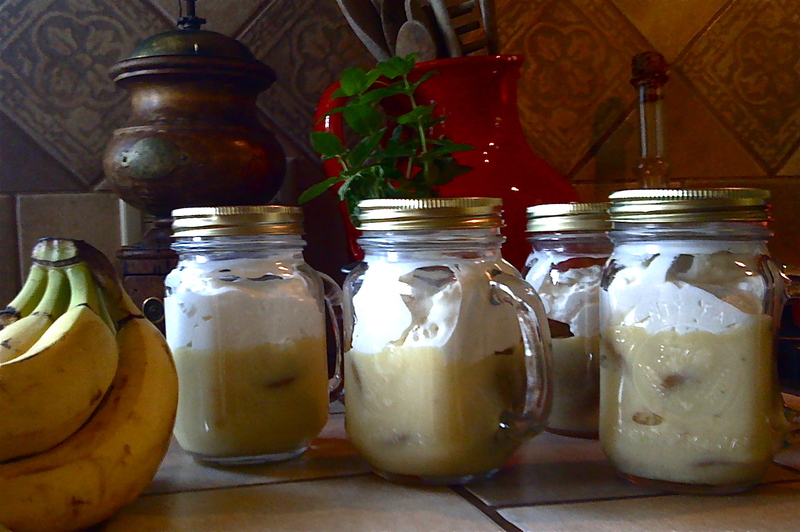 When making these banana puddings, I fill the jars up about 3/4 with the pudding. That way, with the whipped cream on top, you can screw a lid on and presto! a terrific dessert to serve at home or carry anywhere. People love this. Have fun. We’re going to be staying with the the best decade for movies for a while, thank you very much. For the weekend, I’ll throw out just a few of my favorites from the 70’s. These are movies about which I’ll do longer pieces in the upcoming weeks, so if you want to watch before you read, dive in. 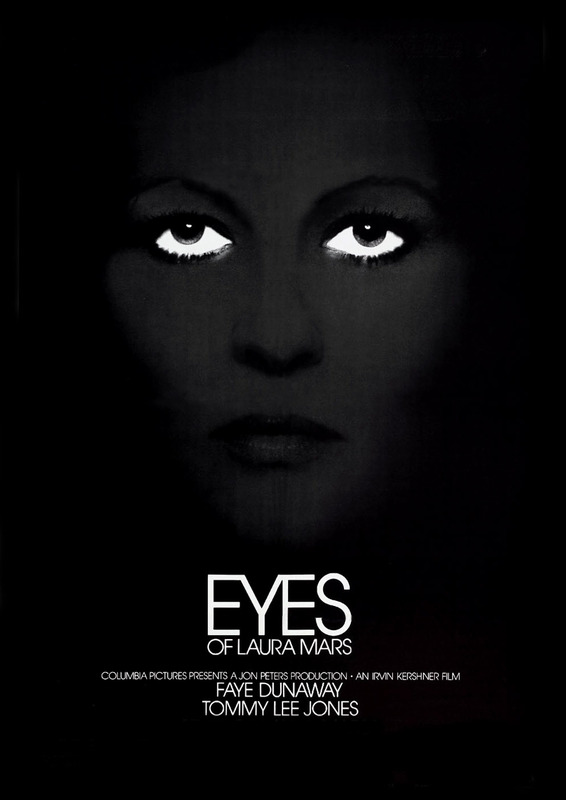 If you are in the mood for a weird, stylish thriller with top-notch performances and splendid direction by Irvin Kershner, who directed the best of the Star Wars movies, Eyes Of Laura Mars (1978) is a creepy, kinetic blast. Pauline Kael, who even after her death remains our greatest film critic, championed the film against fellow critics she claimed attacked the movie because it worked, because it scared them. She wrote, “it operates on mood and atmosphere and moves so fast, with such delicate changes of rhythm, that its excitement has a subterranean sexiness.” Me? I love this movie. It’s also a great way to experience the grit of 70’s New York City, the subject of another upcoming post. 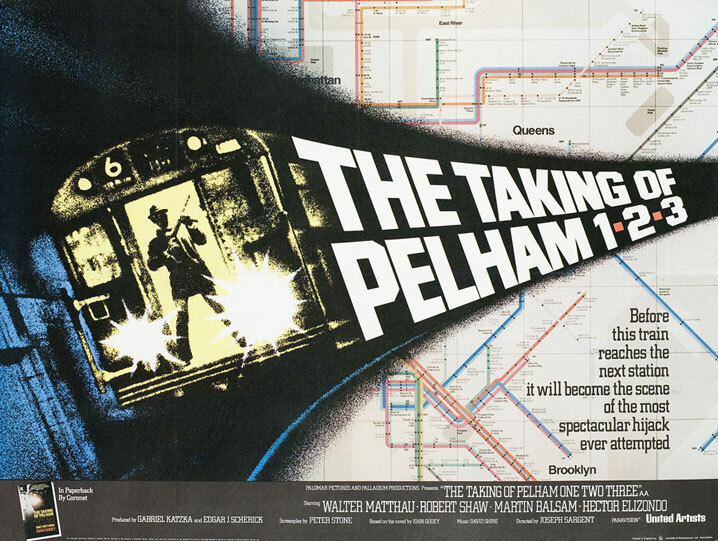 Another gritty New York film from the 70’s, one I could watch pretty much every night, is The Taking Of Pelham 123 (1974), recently remade by Tony Scott. Watch the original. This is a terrific suspenser that continues to have a huge influence on action films today. Its reach is broad, which we’ll get into when I post about the film. Along with an amazing cast, it has a shocking, hilarious tone that flies in the face of any modern day politically correct attitude. Another blast. Finally, an all time favorite, which will be the topic of my next post: Blake Edwards’ marvelous comedy 10 (1979). If you’ve never seen it, or haven’t seen it in a while, you must watch this brilliant precursor to The Hangover, Bridesmaids, Judd Apatow, et al; none would be around were it not for Edwards and 10. Over 30 years later it is still hilarious, still relevant, still very frank about sexuality with a surprisingly complex moral point of view. The BluRay that was recently released looks great. If you watch this, keep in mind that Dudley Moore stepped in at the last minute to replace George Segal. Few people outside of Britain knew who Moore was. His incredible, hilarious, poignant performance made him an international star overnight. So those are my weekend recommendations. If you eat or watch any of these, or come up with something of your own, let us know. And have a great Memorial Day!